Nowadays, more and more homeowners find it convenient to handle roofing damages and repairs on their own just by watching DIY videos and tutorials on the Internet that makes fixing things themselves look easy. However, there are always some risks and consequences that come with doing so. Not all houses are simple and easy to fix. Just a single misstep can lead to a huge damage. Having a professional deal with your roofing problems is always the best way to get things done right the first time. You can expect professional roofers to take care of all your roofing worries and you can trust that their work will be done in a neat and effective manner. With professional services, you can rest assured that the work will not be left with any loose ends. Expert roofers are equipped with the right knowledge in terms of the technicalities involved in the roofing process. They also use professional equipment, and they know where the procure the best materials or supplies required to get the job done. When you hire a professional roofing company like SW Roofing, you can expect them to conduct an elaborate inspection of your roof and spot all the underlying problems that you have might not have identified on your own. Another benefit of hiring professional roofers is that their installations and repairs always come with the company’s warranty and assurance. So, in the event that anything goes wrong within a specified duration, you can always have it re-checked by the company without having to shell out more money. Handling certain roof repairs, yourself is okay. For instance, if you are just fixing something minor such as sealing a roof leak or fixing a loose shingle, then that is acceptable. These little repairs can actually be done by yourself without risking your safety or damaging your roof more. When it comes to full-fledged roof repairs or replacement, however, then these are not something you should do alone. These repairs or replacement projects involve many technicalities and structural changes that are better dealt with by the right professionals. DIY tutorials are not detailed enough when it comes to training you of any issue that can arise on the site. Those tutorials are more often than not straightforward and unrealistically simplified. One unskilled move can lead to a bigger problem and trust us, it is the last thing you want. 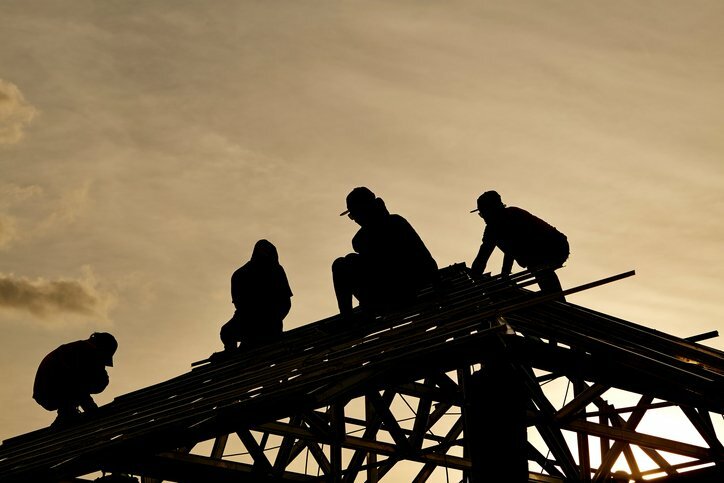 In addition, you need to have the adequate knowledge of where to get quality roofing materials and tools required to be able to pull off a roofing project successfully. Doing it yourself will not come with any professional assistance, making the whole process too tedious and time-consuming. If you have to decide between hiring a professional roofing contractor or doing it yourself, then you must weigh the pros and cons of each carefully. Professional replacement services might cost more than doing it yourself, but that extra cost translates into quality repairs and safety – those are the greatest factors you must greatly consider.